The Car Guide’s Best Buys are announced each year in many vehicle categories, but the one that’s gaining the most popularity these days is the subcompact SUV segment. New models are continually being added, and consumers are turning to this type of vehicle instead of shopping for conventional cars. 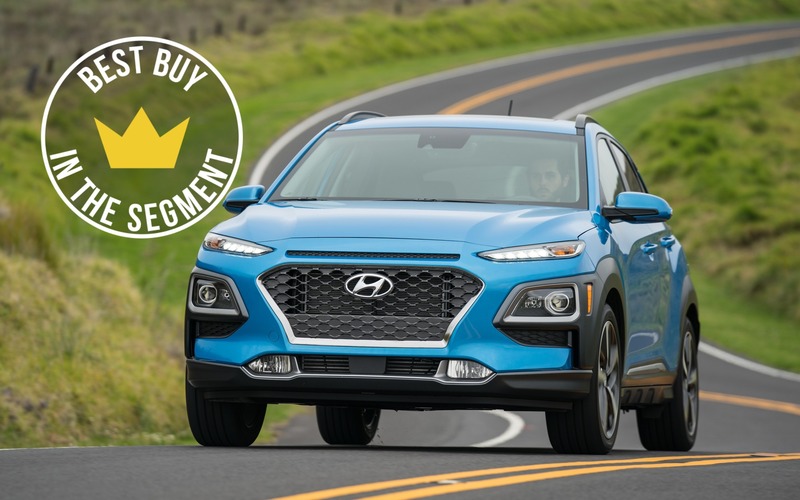 In the subcompact SUV (and crossover) segment, it’s the Hyundai Kona that wins the title in 2019. But that’s not all: after a second round of voting, The Car Guide’s team of journalists handed the 2019 Best New SUV of the Year award to the Kona as well. This little utility vehicle charmed us with its unique design—including its bright colour palette—, its driving pleasure and its very interesting list of features for the asking price. It’s available with a 2.0-litre four-cylinder engine that develops 147 horsepower, or an optional 1.6-litre turbo with 176 horsepower, while front-wheel and all-wheel drivetrains are offered, too. And let’s not forget the Kona Electric that will soon hit the market with its 201-horsepower motor and 415-kilometre estimated driving range. The Hyundai Kona retails from $20,999 before freight and delivery charges. In second place in the subcompact SUV segment, we find the Subaru Crosstrek (MSRP from $23,695) that relies on standard all-wheel drive and good fuel economy. The Mazda CX-3 (MSRP from $21,045) with its fun-to-drive factor and elegant design took third place, in a tie with the Nissan Qashqai (MSRP from $19,998) that offers a spacious and versatile cabin. As for the Best New SUV of the Year award, the Kona beat the Volvo XC40 (MSRP from $40,300) and the Jaguar I-PACE (MSRP from $86,500) that respectively ranked second and third.